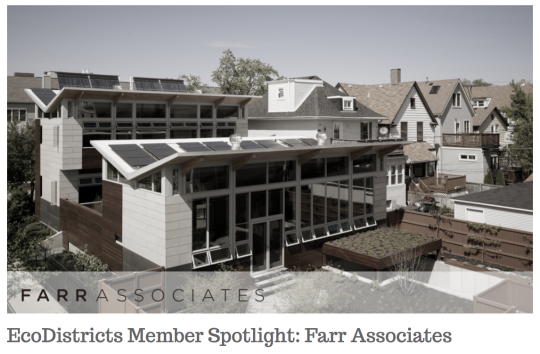 We had a great conversation with EcoDistricts as their featured firm for the February Member Profile feature. Read on for a discussion of how our work with LEED-ND led us to become involved with EcoDistricts. We also touch on variety of topics that are important to us right now– the need for “New Heath, Safety, Welfare” principles to address 21st Century public health issues, our work with heuristics in planning, and overcoming obstacles to district-scale work with neighborhood governance.